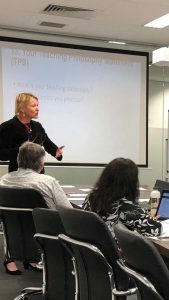 As part of EEI’s Continuing Professional Development (CPD) Plan, EEI held a face-to-face training day for Academic Staff to enhance work-related learning and development. EEI understands that CPD is one of the key mechanisms by which high standards of professional practice and the relevance and currency of qualifications and experience are maintained, and therefore puts great emphasise on CPD activities undertaken by EEI staff which became evident throughout the course of 2018, with a range of CPD activities developed and offered in-house. 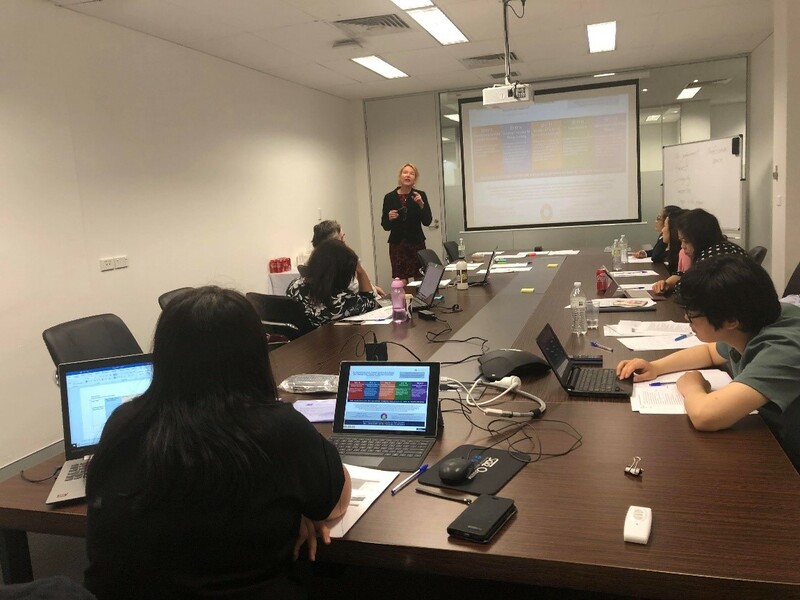 The training day was conducted by Associate Professor Kathie Ardzejewska who is the Manager of the Learning and Teaching Office (LTO), as well as the Deputy Chair of the Learning and Teaching Committee at The University of Notre Dame Australia. Kathie was twice presented with the excellence in teaching award and has worked closely with government bodies especially in relation to education standards resulting in successful accreditation of courses and awarding of grants. The CPD Training Day focused on Reflective Practice as well as Reflective Writing and provided EEI staff with the opportunity to improve their teaching methods and philosophy.